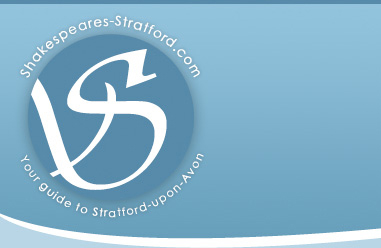 Last week Stratford upon Avon College held its annual week-long programme of events to emphasise the dangers of driving to young people. This was a hard-hitting campaign to encourage young people to take greater care on the roads. The college's road safety awareness week ran from the 19th – 23rd October and included a variety of films, lectures and discussions in partnership with Warwickshire County Council, Warwickshire Police and Warwickshire Fire & Rescue Service. This year, a daily presentation was given covering issues such as: distraction, defensive driving, drinking and illegal substance use, general safety and speed. Undoubtedly the most powerful and influential element of the presentation was when relatives of young people (killed in a traffic incident) spoke of how the lives of the families and friends had been affected. 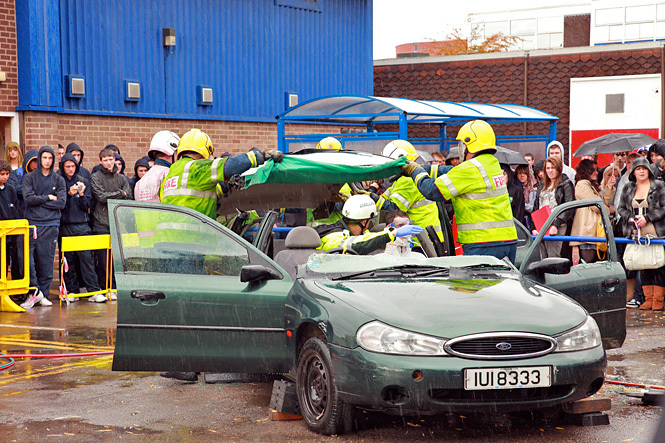 On Thursday 22nd, Warwickshire Fire & Rescue Service demonstrated how they would cut a victim from a crashed vehicle. Road accidents in this country account for over 3,000 deaths per year – a third of these from the 17 – 25 age group. This group is at the greatest risk due to lack of experience, as well as other factors such as speeding, intoxication through drink or drugs, or recklessness. Becoming a good driver is not just a matter of learning how to control a car and pass a driving test, but about driving with the right attitude, gaining experience and recognising possible hazards or dangerous situations on the road.